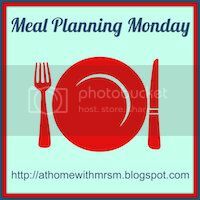 Meal Planning Monday - 31.3 to 06.4 - aka "The Battle Against Pasta"
Yep, you read that right. Against pasta. That. is a lot of. PASTA. Although he definitely won’t complain about the pasta-deluge, I do feel the need to remind my British-Belgian-Brazilian child that variety is a good thing. That choosing olives over chocolate may result in his Belgian passport being confiscated, and don’t even get me started on his refusal to eat digestive biscuits. There is no pasta in this week’s Pasta & Patchwork’s meal plan. As with last week, I'm not sure how much batch cooking and freezer filling I'm going to be able to do. All the involtini I made for dinner today have been demolished already. Well, in the Bean's case the chicken and cheese got demolished, while the cabbage was flung onto the floor with a look of utter disdain. At least he didn't say, "where's my goddamn pasta?" Didn't know it but I've had a gander and it looks great! We try to eat meat/fish-free at least 3-4 days a week, and I could definitely do with some more inspiration. Thanks for the tip!